Lemon, lime, or orange, this fresh marinade is great with a lot of grilled meat dishes. Cut and squeeze juice from fruit. Pick out any seeds. 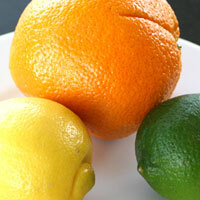 If making orange marinade, zest the outside being careful not to zest the (2)white pith. 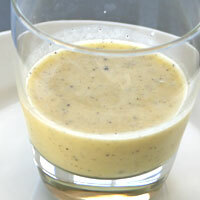 Process juice (and orange zest if using) using a blender, hand blender or food processor. With the machine running, add the olive oil in a slow steady stream. Process until completely and emulsified, about 15 seconds. Add salt and fresh herbs if using and blend a few seconds more. Add fresh ground pepper and stir. Make sure the meat you are marinating is (3) thawed completely. Rinse then pat dry with paper towels. Place meat in a plastic bag and pour in marinade. Squeeze bag to thoroughly coat. Place bag in a bowl and marinate 15-20 minutes at room temperature or refrigerate up to 8 hours. This marinade is very acidic and if it’s on raw meat too long it will eat away at it. 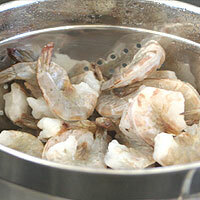 If using on fish or shrimp don’t marinate more than 4 hours as it breaks down faster than other meat. Also, it will begin to lose its fresh taste over time, so use it the day you make it. Grill meat. Let (4) rest 5-10 minutes before serving. Bitter: If the marinade is made too far in advance it will turn bitter. Make and use it the same day. If your making the orange marinade be sure not get any white pith in the zest as this will also make it bitter. 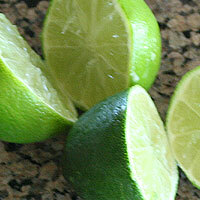 Over-marinating: This marinade is very acidic and if it’s on raw meat too long it will break it down. Frozen or partially frozen meat: The marinade is half olive oil, so if the meat is not thawed the olive oil will freeze and form into chunks. The meat will not be evenly marinated. 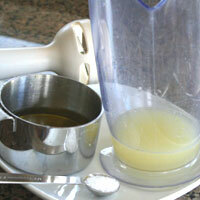 This recipe if very versatile, if the citrus is not giving you enough juice, just use equal parts juice and olive oil. Adjust the salt accordingly. Cut and squeeze juice from fruit. Pick out any seeds. If making orange marinade, zest the outside being careful not to zest the (2)white pith. 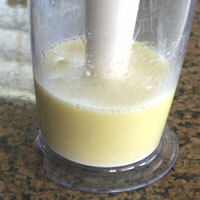 Process juice (and orange zest if using) using a blender, hand blender or food processor. With the machine running, add the olive oil in a slow steady stream. Process until completely and emulsified, about 15 seconds. Add salt and fresh herbs if using and blend a few seconds more. Add fresh ground pepper and stir. Make sure the meat you are marinating is (3) thawed completely. Rinse then (4)pat dry with paper towels. Place meat in a plastic bag and pour in marinade. Squeeze bag to thoroughly coat. 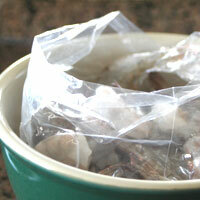 Place bag in a bowl and marinate 15-20 minutes at room temperature or refrigerate up to 8 hours. This marinade is very acidic and if it’s on raw meat too long it will eat away at it. 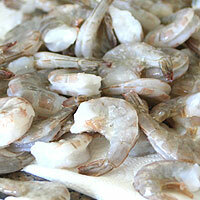 If using on fish or shrimp don’t marinate more than 4 hours as it breaks down faster than other meat. Also, it will begin to lose its fresh taste over time, so use it the day you make it. Grill meat. Let (5) rest 5-10 minutes before serving. 1. Orange juice is not nearly as strong in flavor as lemon or lime juice. To boost the flavor some orange zest. 3. The marinade is half olive oil, so if the meat is not thawed the olive oil will freeze and form into chunks. The meat will not be evenly marinated. 4. It is important to pat meat dry before marinating, so that the marinate will stick to the meat and evenly flavor it. 5 . Any meat should rest after cooking before serving or slicing. It allows it to finish cooking and distributes the juices evenly. 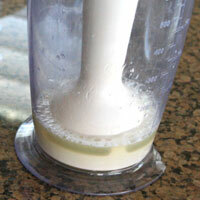 Then when you go to cut or eat it retains much more juice instead of it spilling out.